Grinch Day and Snow Coming our way! - The Resourceful Room! I woke up early to get the classroom green - I hung green streamer from the ceiling and added green snowflakes to create a green snowstorm! Of course we had green cookies and punch! We read "How the Grinch stole Christmas" and recorded words that described the Grinch at the beginning of the book on green circle post it, then added words that described the Grinch at the end of the story on pink heart sticky notes! (This idea was totally inspired by The Techy Teacher - You can see her Punch a Bunch game HERE!) To make this game I got 20 short plastic drink cups and used my industrial strength double stick tape to attach them to a piece of poster board. Inside the cups I put questions about the Grinch story, and a few little treats. I cut squares of tissue paper and placed them over the opening of the cup securing them with a rubber band. After reading the story students took turns punching out a whole and they either got to answer the question or keep the prize! I have small groups so we were all able to have a turn until everyone got a prize. (another freebie from Sheree at Peterson's Pad), all you have to do is add flash cards! We used multiplication cards, the kids had a ton of fun and it made the game adaptable to our grade level!! Thanks again Sheree for these great freebies! And I gave them all Grinch pills to wrap up the day! I had this little poem printed on rack cards from Vista Print and it made this project so easy, I just put a few M&Ms in a snack baggie and folded the card over it, stapled it at the top and it was good to go! We are finally going to get some SNOW! I love Snow and want a white Christmas so bad!! I am sooooo ready for break, but I don't want to have a snow day tomorrow! I know crazy right, it's just that there's so much I would love to get done and tomorrow's really fun stuff anyway!! We have a snow storm headed our way and it looks like the worst of the wind and blowing snow might hit right around the time we are heading to school tomorrow! I could go either way but this is one time I'm hoping for it not to get to bad! Super cute! I may just have to have a Grinch Day next year! I love the Punch a Bunch game! Super cute and sounds fun! 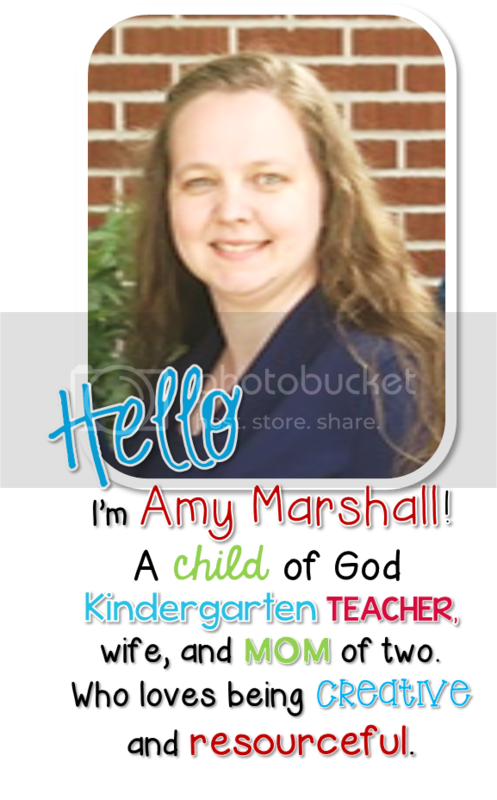 Thanks for the shout out Amy! I LOVE the Punch a Bunch game and the Grinch pills. Adding those for next years Grinch Day. Thanks for sharing! We had a Grinch Day too this year. It was one of our Quarterly Behavior Parties. We had this one in December right before Christmas Break. One of our ESOL teachers dressed as the Grinch and all the students got pictures with the Grinch and his stuffed dog. It was an actual costume of the Grinch so it was kind of scary but the kids loved it. She even went into other grade levels and surprised the kids and teachers. It was a lot of fun. I liked your ideas! We had three stations that the students went too. The first station was making the grinch but instead of the grinches face, we put the students faces on them. The second station was watching How The Grinch Stole Christmas (Dr. Seuss version)and having green cookies and punch. The third station was the Grinch himself and taking individual pictures with the students and the whole class. It was great fun. Thanks for sharing your ideas. I am adding them to my file for next year. Hello!! Do you happen to have a printable file for the grinch pill topper?